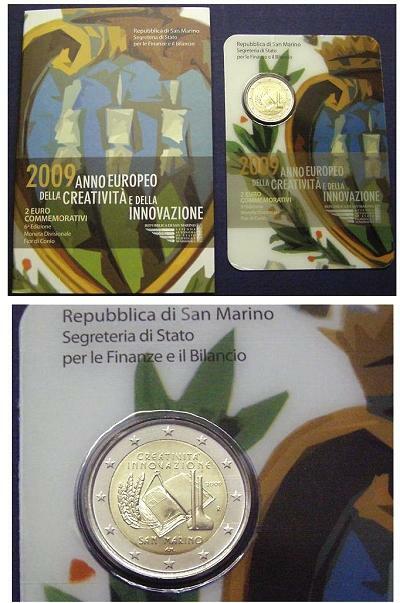 2009 San Marino 2 Euro bimetal coin with the theme of "Creativity and Innovation." Brilliant Uncirculated condition in original Mint folder. Designed by Annalisa Masini.